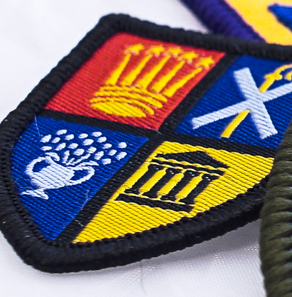 We have over 20+ years’ experience producing scout patches for troops across the United Kingdom & Ireland. With a history of producing scout patches including activity badges, challenge awards, core badges and recognition badges for troops across the country. Golden Finishes offers low minimum order values and a quick turnaround on all our scout patches. 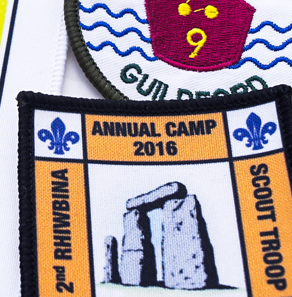 Your scout troop patches can be printed or embroidered with your design, simply send your idea to our customer services team who will offer their expert advice. 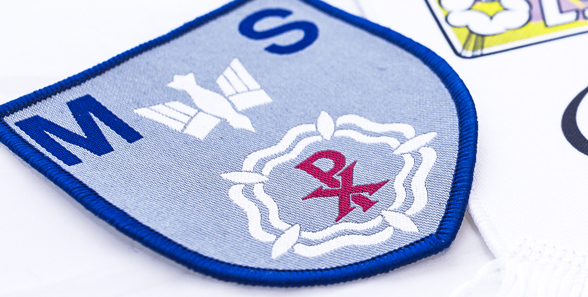 Alongside our expert team, we use the latest CAD, Print & Embroidery technology to produce your scout patches. 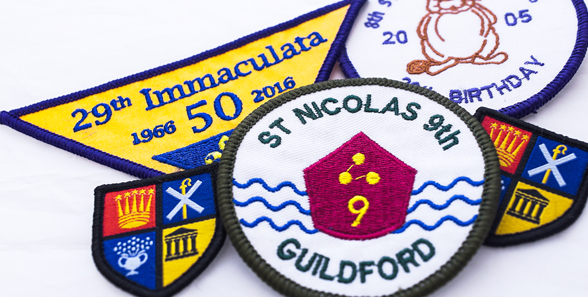 With 100s of designs and styles available get in touch today to see how we can help your troop with your scout patches and badges. Can we deliver directly to your troop? Absolutely, we can deliver scout badges to any mainland UK & Ireland address. Can we re-draw and design your scout badges? Our team can re-draw your artwork to turn your ideas into a reality, using design software we will produce scout badges exactly how you want. How quick can we turnaround scout badges? 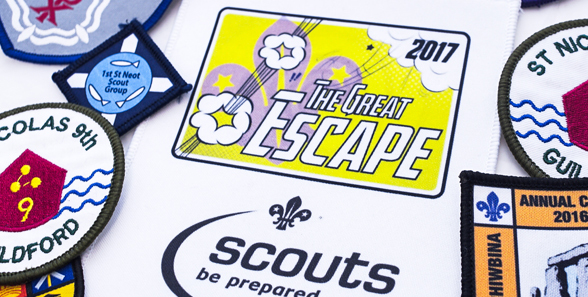 We do offer an express turnaround at a premium rate (if applicable) but we aim to deliver your scout badges to you 7 days after artwork approval. What options are available for scout patches? 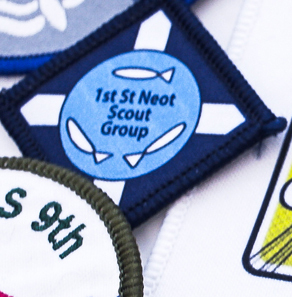 Scout badges can be finished in a variety of ways, you can always contact our team to discuss your design and chat through the best options. For more information on Scout Badges, Troop Patches and our services, please don’t hesitate to contact Golden Finishes on 02920 755733 or email info@goldenfinishes.com.